Season 1 is here, and leading the charge, quite literally, is Octane – the new character for Apex Legends, and the most mobile Legend we’ve yet seen. The trailer below describes Octane as being able to run rings around enemies, and, having played as much as possible of him since Season 1’s release, they’re certainly on the money. This might just be my new favourite character, and our Apex Legends Octane guide will help you to better understand his abilities and the high- ahem, –octane playstyle you’ll need to adopt with him to succeed. 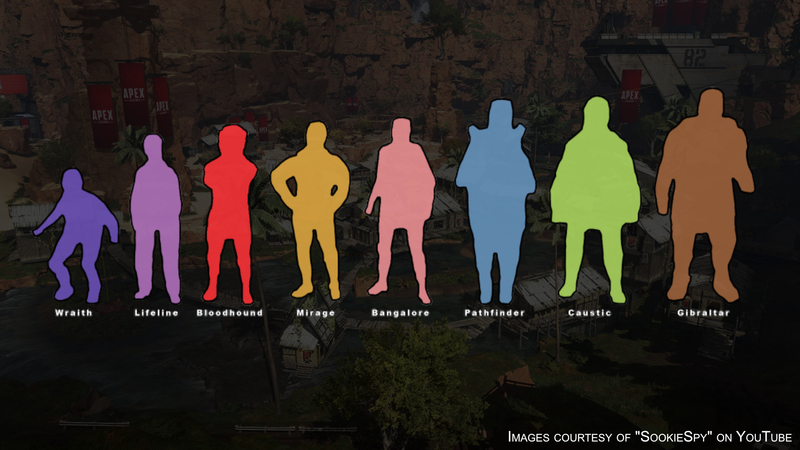 For full details and opinions on all of the characters together, take a look at our Apex Legends characters guide for fully updated details. Alternatively, if you’re looking for a focused guide like this one but on a different Legend, then simply take a look at the table below and click on a link to be taken to the hero of your choice. All these guides are fully up to date and ready for Season 1. Thanks to various pre-season leaks and datamines, several of the things Octane brings to the table in terms of abilities we actually knew about already. But now we’ve had a good chance to see exactly how he plays. And there’s a lot to talk about. Feel free to skip ahead to a specific section using the links below. Where to begin with Octane? He’s the most mobility- and sheer speed-focused Legend we’ve yet had, beating out Pathfinder and Wraith simply with the ease and frequency with which he can utilise his Stim Tactical to race across King’s Canyon. He’s the new tip of the spear in terms of team composition; Octane’s role is to always be slightly ahead of his team, first into combat, and first out again – or first to die. The trade-off of his Tactical, sacrificing health for movement speed, is a brand new system for Apex Legends abilities. From what we’ve found so far it’s nicely balanced, allowing you to play either with caution, only using Stim before or during an encounter (I wouldn’t recommend this), or with reckless abandon, Stimming up every few seconds as you loot up and look for enemies (and let’s face it, the latter is what Octane would want). It’s also fairly easy to talk about Octane’s strengths and weaknesses thanks to the sacrificial aspect of this Tactical ability. His strength is that he’s the fastest character, and a scary presence during a fight. Fights can easily be won in six seconds in Apex, which means the entirety of an encounter could be spent trying to get a single shot to land on this crazed drugged-up speed demon. But if used at the wrong moment or too frequently, Octane’s diminished health will let him down, and his Ultimate is really not that practical during fights, so if you Stim too hard you’ll have nothing to fall back on. Octane is yet to be properly tested by the Apex Legends playerbase, but his diminutive frame likely puts him along the same scale as Lifeline or Bloodhound. This, combined with his trademark speed, makes him a strong candidate for toughest Legend to land shots on, even giving the slippery Wraith a run for her money. Of course, he’s likely to have a little less Health than most enemies when you first encounter them, so you may not need to land as many shots on him. Octane’s abilities make for some fascinating new tactics we’ve not yet seen in Apex Legends. Like all characters, he has access to three; one Passive, which is always (is this case nearly always) in effect; one activatable Tactical ability, and one Ultimate ability which requires charging over time. Let’s take a closer look at each ability in turn and how best to use them. Swift Mend Automatically restores health over time. Octane’s Passive is difficult to talk about without also describing Octane’s Tactical, since the two are designed to work in tandem more than any two other abilities in Apex Legends. It’s a simple and very useful Passive that regenerates 1 Health (not Shields, just Health) every 2 seconds. You may notice that in the previous leaks, this ability had the caveat that it would only work when not in combat; and this does still appear to be the case, though it’s no longer mentioned. If you’re damaged, there’s a few seconds’ delay before the heal will reactivate. 0.5 HP per second is, of course, nothing to write home about, and it won’t save you during a fight, but it allows you to use your Tactical much more freely, and it allows you to conserve healing items such as Syringes and Med Kits for more dire circumstances. It’s a nice little Passive ability because you don’t have to concern yourself with it like you would with, say, Wraith’s Passive. It just does its thing, letting you get on with bouncing across the map and running rings around enemies. Swift Mend does not heal you for a short time after you take damage. The heal also does not replenish your Health while you are using your Tactical, Stim; but it does reactivate immediately after the Stim has worn off. While Knocked, if you’ve been damaged by enemies, you will slowly regain your “knocked Health”. However, it won’t stop you from bleeding out, because that is a separate mechanism from your Health while knocked. Don’t rely on this ability to get you out of a tight spot, because the heal per second isn’t strong enough to ensure survival against enemies. Stim 30% 6s 2s (after effect ends) Move 30% faster for 6 seconds. Costs health to use. Stim is Octane’s absolute bread-and-butter ability, and I’m gonna tell you right now that in order to use it properly, you have to learn not to be afraid of having low Health. You may think Health is more important than Speed, but in Apex Legends that’s not true; speed is just as important for survival as Health (in some cases, more so). Don’t be afraid to spam this Tactical multiple times in a row as you’re looting up during moments of downtime, or during a fight. I love this ability. A 30% movement speed bonus is massive (it matches Bangalore’s Passive speed bonus, for reference), and you can activate it every 8 seconds – that is, it has a 2-second cooldown after its 6-second duration has elapsed. So if you use it properly, you can spend nearly the entirety of a fight at 130% speed, which allows you to absolutely fly around corners and across plains or corridors. It’s a scary thing to see that metal-legged speedster dashing towards you with Peacekeeper in hand, I’m telling you. It takes away 10 Health each time, which means if you keep spamming it the moment you’re able then your Passive Swift Mend won’t be able to counteract the Health decrease. But again, don’t let that stop you from using it plenty. There’s a reason that cooldown is so low; so you can have fun spending the majority of your time sprinting and sliding like crazy. You cannot kill yourself with Octane’s Stim. If you use it with 10 Health or less, then you’ll always be left at 1 Health. Chain together Stims at the start of a match to speed up your early looting phase. Dash between houses at the speed of light. You can use Stim while healing or reloading, just like Bangalore’s Smokes. Bunny Hopping is even faster and more useful while Stim is active. If you’re not sure how to Bunny Hop, check out our Apex Legends advanced movement guide. Be careful if there are enemies nearby in the early-game, though, because you’ll probably have either a white Body Shield or no Shields at all, and Health is all you have. Octane’s Stim allows you to move faster with a gun than other characters can run while holstered. Octane’s Passive will not heal you while you are Stimming, so you’ll need to give yourself time to heal between Stims to replenish your Health. Make use of the speed bonus. I’ve already seen Octane’s Stimming up to reach an encounter, and then more or less standing still during the fight itself. 130% movement speed allows you to dance around and A/D spam like crazy while firing, so take advantage of it. Launch Pad 1m 30s Deploy a jump pad that catapults teammates through the air. Octane’s Ultimate is the ability of his we’re all most familiar with by now, thanks to Respawn silently adding a few Launch Pads into the game prior to Season 1 around Market. It’s a fairly straightforward mobility-focused Ultimate; when activated, you’ll throw down a Launch Pad in front of you much like Gibraltar’s Dome (though you can actually throw the Launch Pad surprisingly far), and after that the Launch Pad persists and is useable by anyone, friend or foe alike. What’s nice about the Launch Pads is that they’re quite predictable. They will always send you straight forward in exactly the direction you’re facing when you walk over it. You can use it fairly easily to cover distance quickly, to initiate, escape, or simply to outrun the Apex Legends Ring. It’s much like Pathfinder’s Zipline Gun Ultimate in terms of when it is useful, and also because, like Pathfinder’s Ult, it can benefit the whole team, and will persist. Truth be told, it’s not a wonderfully practical ability. I greatly prefer abilities which you can rely on to help you while in combat. Wraith’s Portals are better in pretty much every way than these Launch Pads, except for the fact that Octane’s Ult predictably has a lower charge-up time. But it’s certainly fun to bounce around the map, and as time goes on players will probably discover all sorts of unique features and quirks of this ability when combining it with others. We’ve already discovered a few below, have a read. To bounce higher and further on a Launch Pad, you should jump just as you go over the Launch Pad. When timed right, the momentum of your jump will send you a good 30% higher and further. Placing a Launch Pad on a decline or incline such as a hill or stairs has absolutely no bearing on the trajectory or momentum of your bounce. Knocked down players can bounce on Launch Pads, which means you can place one down to help move a knocked teammate out of danger. When placed below a Wraith portal, players who exit via that portal will actually exit a short distance from the portal, rather than right on the portal as usual. I’m not sure how this is useful, but there you go. Each Launch Pad, as you can see below, has a… very slim hitbox. So careful where you use it. Finally, let’s finish up with some more general tips and tricks on winning Apex Legends matches as Octane. Don’t be afraid to have low Health. Octane needs to live life on the edge in order to be used effectively. This means a risk/reward playstyle where you may be caught off-guard and die quickly, but other times it could win you the game. But you have to learn not to treat Octane cautiously. Take advantage of his Stim as much as possible. Learn to A/D spam effectively while under Stim. With a 30% movement speed increase, your “A/D spam” can soar to ludicrous levels of “impossible to hit” if you’re quick enough. Never stay still while under the effects of Stim, because you’re literally just wasting the ability – and your Health. Go for wide flanks when needed. Octane is fantastic at repositioning before your enemies even know what’s happening. And when Stimmed, your teammates won’t be able to keep up with you anyway, so feel free to go on flanks when you want. Again, risk/reward. Pair with Pathfinder and Wraith for an incredibly quick and mobile team. Before, it was mainly Pathfinder who it was difficult to keep up with as a teammate, but now he’s found his match in Octane. Throw Wraith’s Portals and Phases into the mix and you’ve got an incredibly quick and versatile team comp. That’s pretty much everything we’ve got on Octane for now, so hopefully you’ve learned a thing or two about how best to utilise his unique new skillset. Now what are you waiting for? Season 1 is here; get busy.